Maddy Malhotra’s story of courage, persistence and tenacity is proof that Bullet-Proof Self-Belief is the key to success. This book will inspire you to go your dreams no matter how many obstacles you have to overcome. Maddy did it, and so can you! Loved it! 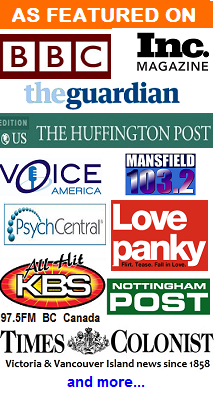 – As a Morning Radio Host I’ve read and interviewed many of the top Motivational Speakers and I want to say how much I learned from Maddy’s book. The author does an amazing job of showing us where he came from. He didn’t have an easy life but yet he took the responsibility to change it. This books inspires! It’s simply written and I love that. Changing your life for the better doesn’t have to be complicated…but you do need to take action daily. I also appreciate the homework assignments in the book. Great outcomes from positive inputs – In this book Maddy Malhotra shows how, through following just a few simple steps, you can easily achieve the goals you set and by changing the pattern of your personal programming how you can take greater control over the outcomes of the actions you take. Great approach to positive thought creation leading to positive output. Not a fiction but the part of the real drama which nature has played in front of the eyes of this existing earth, Maddy has played the hero of this reality show. What is life, what dreams are and how to achieve your goals without having any resources and help from any one, he has once again proved that it is positive thinking and self belief that can take you to miles ahead. The book will induce you to read each and every page and will force you create an environment for yourself to work hard and be dedicated. A definite read – This book is to the point, with practical steps and not just theory. Author’s life story is very inspirational and made me think about the great possibilities in life. He walks his talk and comes across as passionate about helping people. My self-image got better, I became assertive and started thinking positive about life after following the suggestions and techniques listed in this book. I wish I knew all this when I was 17. I would recommend this book to anyone who wants to achieve more in any area of life. Feeding the good young wolf – I have read the book, in fact I have read it twice, because as a cynical journalist I wanted to try and find areas that I disagreed with. As yet I have not, so I am trying to apply some of the suggestions and then have a results test in due course. Currently my son is playing County cricket at Under 11 and he has adopted the good and bad wolf syndrome as a method of improving his attitude and technique. It appears to be a massively positive way of working for him, in terms of confidence and positive mental attitude and also proven results over a seven match spell – he says he is determined to starve the bad wolf. Well worth reading – twice! – Not only have I read this book – twice, I have had the pleasure of meeting the author and speaking to him for a couple of hours. A truly remarkable young man with a fascinating life story. Maddy has put into an easily readable format the life lessons he has learnt and from which we can all learn. Such a positive book with guidance for life which makes sense. Well worth the purchase price and I defy anyone to resist reading it from cover to cover. This book helped me believe in ME! – I bought this book a year ago when I was facing many challenges in life. I gained confidence, my self-esteem is high and can easily face a job interview now. I couldn’t have reached my goals today, without the invaluable advice from Maddy. I apply the lessons whenever I’m hit with negativity. There are many who have plenty of ‘advice’ to give about what YOU’RE doing wrong BUT how can they possibly know what’s right for you unless they experienced the same thing and changed it? Ever got business advice from someone who doesn’t own a business? This is YOUR life, and Maddy simply helps you to take it back! He did so for me, and he can do for you! Nothing better you can do to yourself than changing your limiting self-beliefs. A thousand thank yous sir. You truly are an inspiration! A great inspirational, motivational and educational read – Maddy’s journey has been nothing short of amazing and his courage and commitment to make positive changes in his own life is commendable. This book was not only inspiring but also a testament to the power of the human mind and you will learn how to improve your outlook and attitudes immediately. If you want to improve the quality of your professional and personal life I would recommend that you read this book and share its message with family, friends and colleagues. It is a great inspirational, motivational and educational read. A very good book – At work, I ran into a friend who was happy and unusually bubbly he told me some of the changes in his life that were taking place and he had begun to read this book. What really impressed me were the changes that started taking place, in his life, in the days and weeks that followed. He started to gain confidence, was participating more in the meetings at work, and felt about positive about life. I decided to give it a go so bought this book online. My job performance improved as did my squash game. I got the results which I wanted for years (my fears always stopped me from taking action). I highly recommend this book to anyone who wants to change their lives for good. A truly remarkable young man – My first impression of Maddy was of a truly remarkable young man who has walked his talk, self-funded his continuous education and whose life experiences have molded him into an exceptional person. yourself and reading Maddy’s own story makes you want to do something about that! I’ve read hundreds of inspirational/motivational books and this one certainly ranks among the best of them. 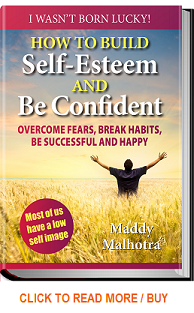 A life changing “WOW” book – I have read many “self help” books and taken a few motivational seminars and classes over the past few years, but Maddy Malhotra ‘s book stands out amongst them all! Truly!!! Reading his book is like sitting across from this man and having a conversation with you; he’s talking “TO” you not “AT” you! He shares his personal experiences which are, to say the least, profound and inspiring. And I just love the simple, but very enlightening lessons at the end of each section; what a brilliant and wonderful way to engage us in our own self exploration! I am ordering another ten copies of the book to give away; It’s hard not to get excited and share the wisdom, insight and “conversation” in Maddy’s book, Thanks Maddy!!! manuals that I have acquired over the years. Not so. Maddy speaks from the heart and with real enthusiasm. The advice that he gives he applies to his own life, and his knowledge he has acquired from some of the best teachers in the world. Each chapter is enriched with inspirational anecdotes, quotations and exercises to complete. Let Maddy convince you himself though. Give this book a go. Life changing book by Maddy – an amazing book and the amazing story of Maddy and the obstacles he has had to overcome in his lifetime. In this book he has used the experience from these life lessons to show everyone that you are capable of achieving anything you can possibly desire, if you will hold and maintain a strong belief in yourself and your ability to succeed. Maddy has demonstrated through his story that it is your attitude toward success that brings you to achieving it. The road to success is not always sunshine and happiness, unless you believe it is! Maddy believes each step along the way, no matter how difficult, becomes a lesson to be grateful for and to grow from and not a reason to give up hope and forget your dreams. Wonderful book and message to be shared with everyone! I believe fate has brought you to this book for a reason as it did me. I hope you enjoy reading it too! Great book – I found the book to be very well written and in an easily digestible format. Maddy has the rare ability to connect with the reader. Once I picked up this book I couldn’t put it down. Well worth a read if you want to be Bullet Proof your mind and start to discover your full potential.